Have you ever traveled to another city or country and wished you knew all the local spots for brunch, coffee, dinner, or shopping? Or even if you’ve done thorough research of what to see and do, you would love to talk and learn about the city from a local’s perspective? 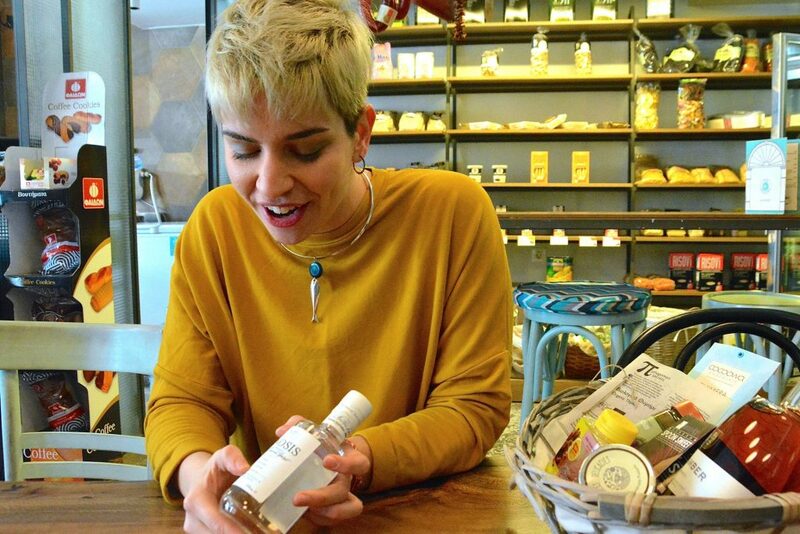 I’ve joined local experts on a one-of-a-kind food and culture tour in Thessaloniki that combines tasting local food while learning about the rich history and charm of the city. 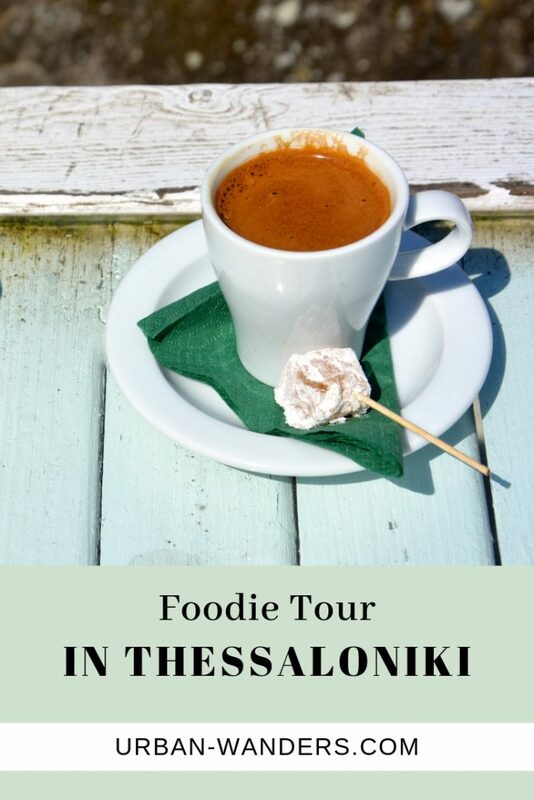 For someone who is visiting for a short period and is in the search of a quick but worthwhile way to taste many local delicacies, than check out these Food and Culture Tours in Thessaloniki. Experience first hand where locals eat and dine while walking through neighborhood markets and shops either through a 2.5 Hour Morning Tour, 4 Hour Morning Tour, or for the true foodies out there: a 6 Hour Morning Tour. Continue reading to find out what each of these tours entail. Just like every true Greek, the morning food tour begins with a breakfast at a family-owned bakery to indulge in some freshly made koulouri with homemade jam, olive oil, and halva. 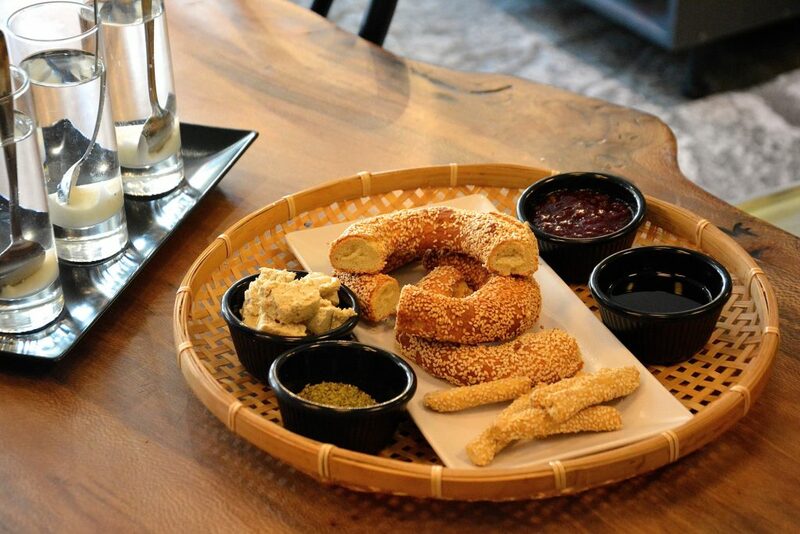 From the very start of this foodie tour, the experienced host will share with you what a traditional Greek breakfast looks like, how to properly drink Greek coffee and of course historical facts about the city. 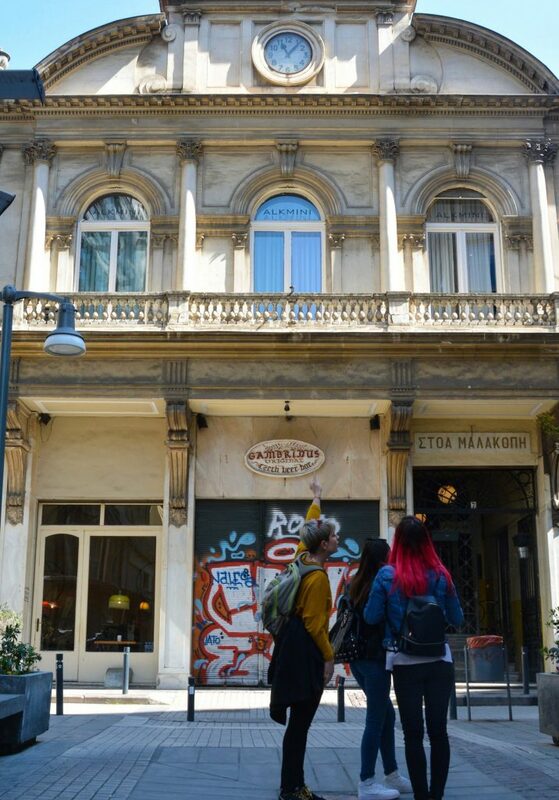 The host takes you by the hand from one stop to the next showing you little hidden gems of Thessaloniki along the way. 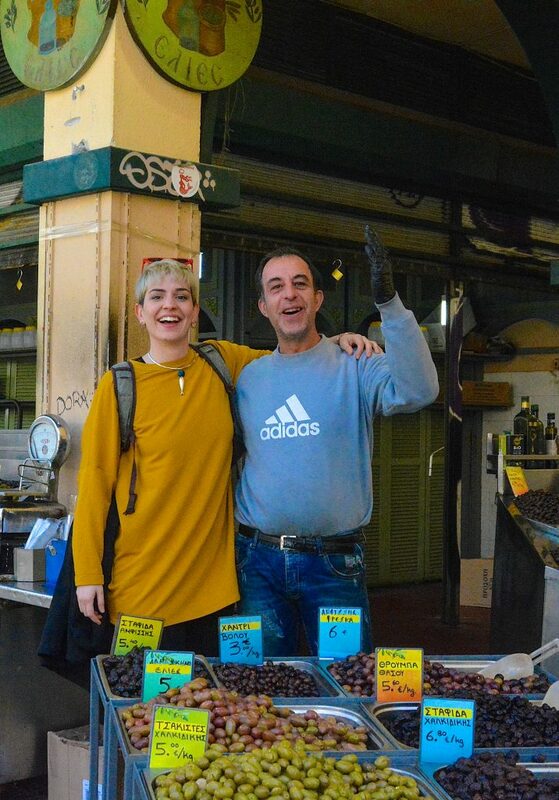 Their charismatic and friendly approach toward this food and culture tour in Thessaloniki makes you forget that they are even a “tour guide” as they quickly become part your the group, or “parea” as the Greeks like to call it. 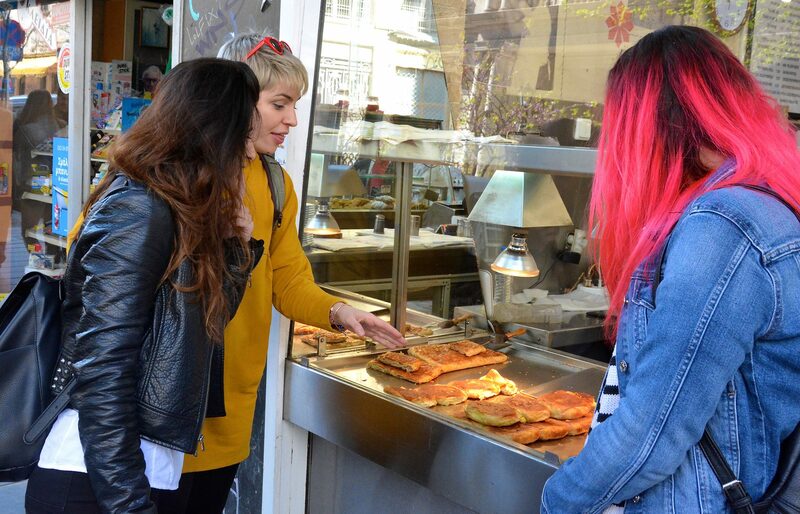 Because one breakfast is not nearly enough, the second stop on this food and culture tour in Thessaloniki is at famous Bougatsa shop. This small but charming shop has been run from generation to generation baking bougatsa the traditional Greek way for a long time. Indulge in the variety of bougatsas that range from custard filled, to meat filled, to chesee filled – each delicious in their own way. Next, a quick break from the eating as the gang walks through the biggest open market in the city to witness the hustle and bustle of every day life in Thessaloniki. 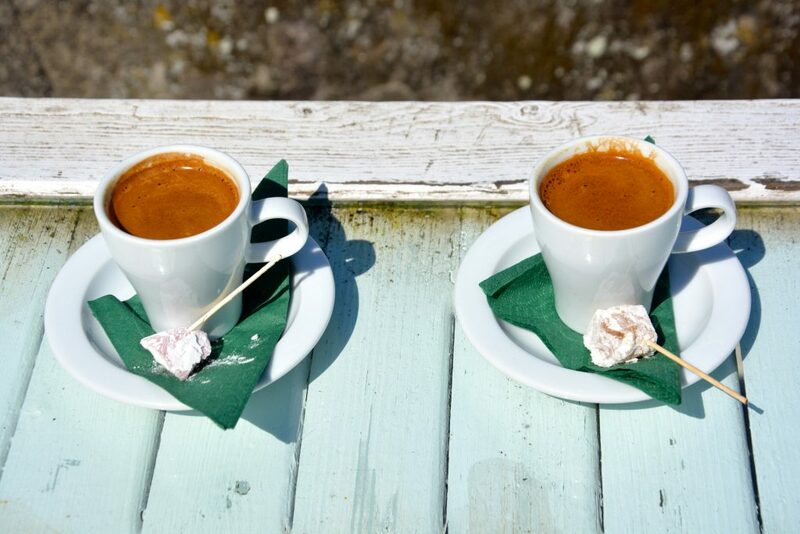 Naturally, the morning would not be complete without a Greek coffee break. If weather permits, your coffee break takes place on the rooftop of a corner coffee shop right in the heart of the city center. 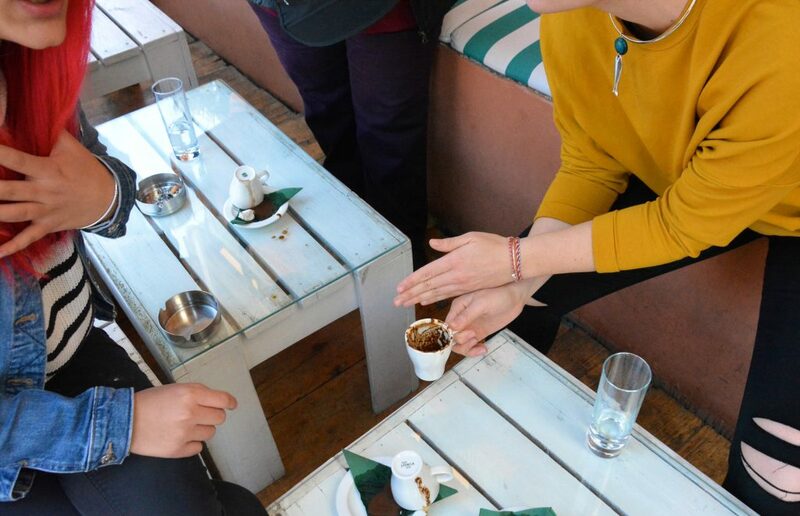 You’ll not only be able to enjoy a traditional Greek coffee, as well as the view of the city, but a “fortune-telling” session also comes along with the coffee. Yes – according to Greek tradition, a lot can be told about you and your future from the imprints of the coffee on the mug after you finish drinking it. This lighthearted fortune telling session of course is all for good fun and is just a playful way to demonstrate the Greek ritual of drinking coffee. 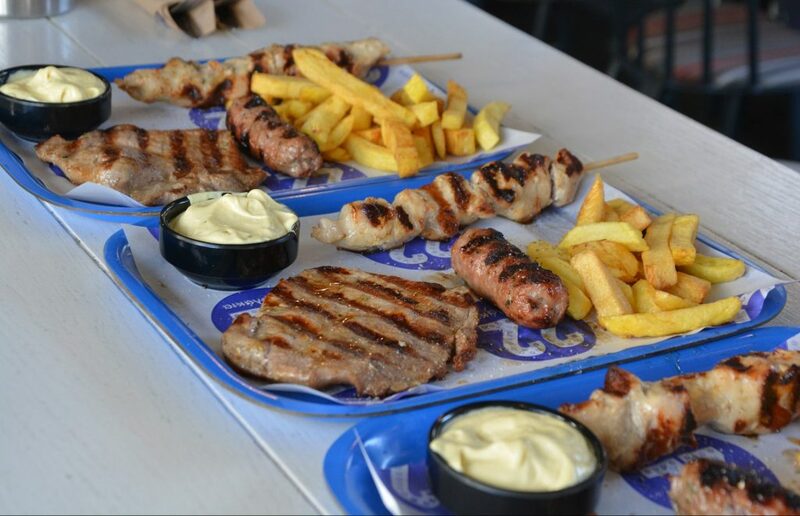 Next stop on this foodie tour in Thessaloniki is a stop at one of the best souvlakia joints in town, which is accompanied by a quick Greek lesson to learn the essentials such as how to say your name in Greek and other simple words. If your appetite for local food has not been fully satisfied at this point then you’ll want to continue the tour either by booking the 4 hour or 6 hour food and culture tour. 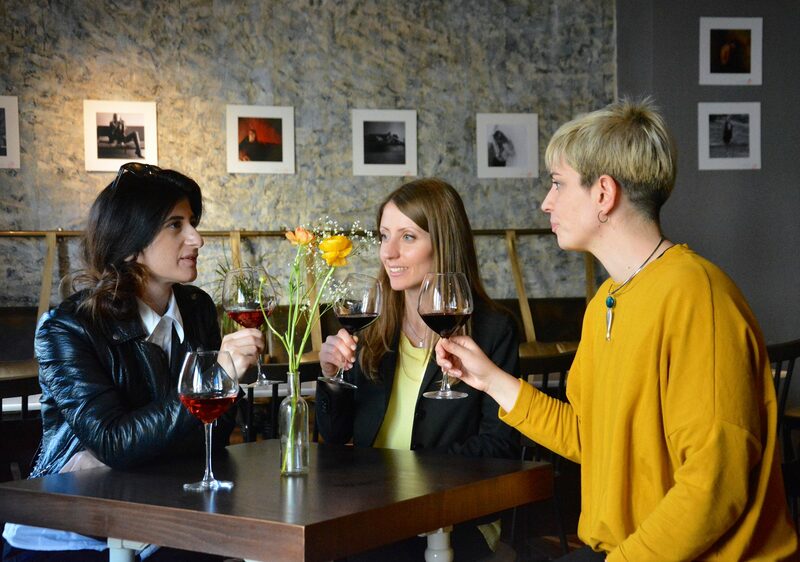 The extended tours include more stops such as at a local Greek tavern to indulge in some “meze” with tsipouro, a pastry shop where you will first hand learn how to make Greek sweets, wine tasting and more. 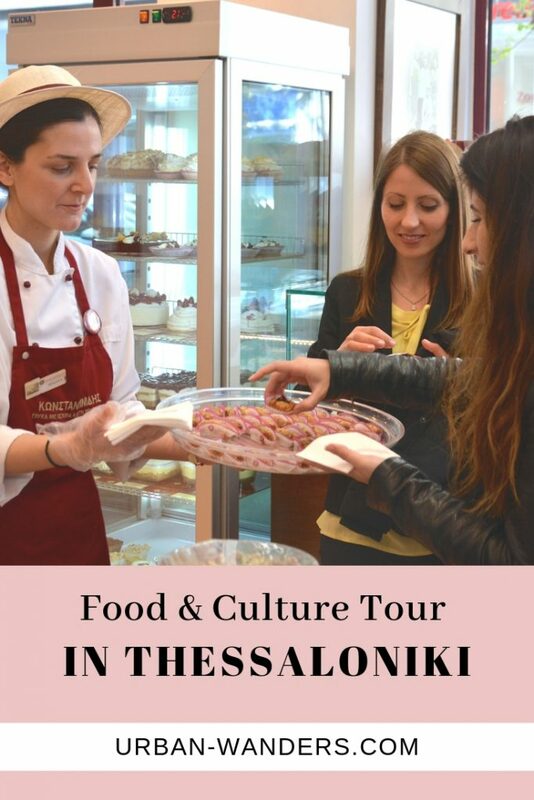 They say food is the way to the heart; if that is the case then after this food and culture tour in Thessaloniki you will surely be in love with this city! 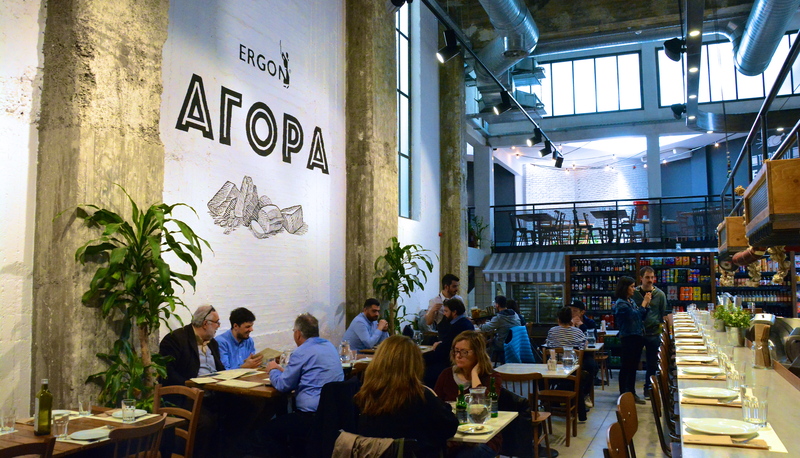 It’s rich history coupled with delicious and locally made dishes make Thessaloniki a perfect location for Gastronomic tourism. But don’t take my word for it – go on this tour and let me know what was your favorite spot! 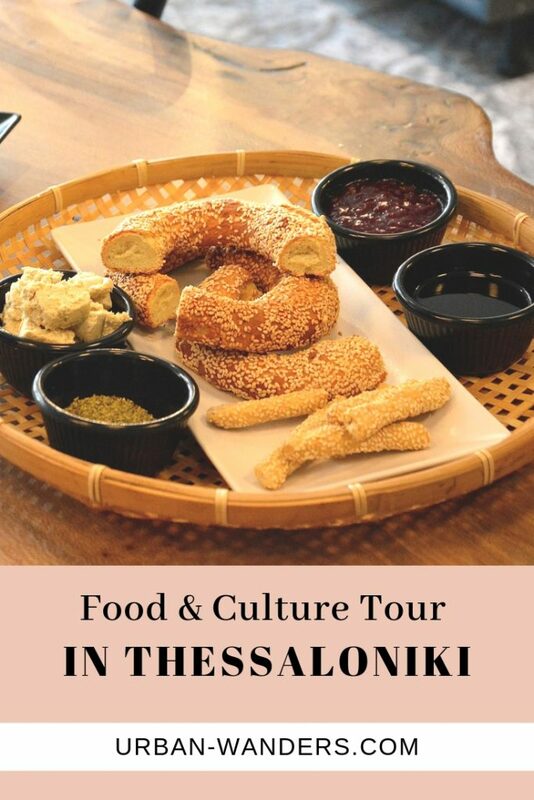 Interested in this Food and Culture Tour in Thessaloniki? Save your spot today!